INDIANAPOLIS (September 29, 2015) — Klipsch Group, Inc., owner of the Klipsch, Jamo and Energy audio brands, today announces the appointment of Oscar Bernardo to Chief Operating Officer. Bernardo, who previously served as president of global operations, assumes the role following a career of operations and sales management that includes nine years with the company. “Oscar has over 30 years of industry experience leading operations and sales. He’s a dedicated, respected, trusted leader that has contributed significantly to the success of our company. I am proud to have him by my side leading Klipsch Group to our bright future”, notes Paul Jacobs, President and CEO of Klipsch Group. 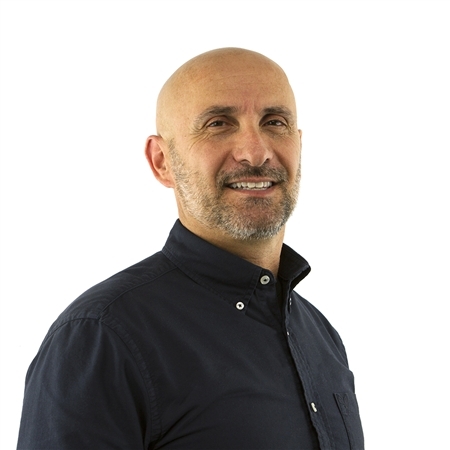 Since joining Klipsch Group in 2006, Bernardo has occupied numerous senior level management roles and played an integral part in communicating the company’s mission and vision globally. Shortly after joining Klipsch Group, he was promoted to senior vice president of operations. In 2011, Bernardo served as senior vice president of sales and operations for the EMEA sector, responsible for all aspects of business involving the Klipsch, Energy and Jamo audio brands throughout 19 countries spanning three continents. In 2014, he was promoted to president of global operations overseeing engineering, financial analysis, vendors and more. “I am excited to lead a world-class, premium company during this challenging, transformative time in the industry and carry out the strategic vision of being a forward-thinking, tech-driven audio company that will continue to stand the test of time”, says Bernardo. Bernardo is immediately focused on making Klipsch Group an even stronger competitor in its respective market segments. Alongside President and CEO Paul Jacobs, he will carry out the company’s vision of new thinking, new ideas and developing new ways to create, distribute and sell the most exciting high-performance audio-based entertainment products around the world. For the long term, he will be focused on performance excellence within the company to build a more profitable, sustainable and scalable entity. Previously, Bernardo served in executive and management level positions focused on operations at Audio Products International, Fineline Circuits Limited and Campeau Corporation. He also holds a HBA and MBA from the University of Western Ontario.